Jack Maxey (Hornsea) is the Boys Captain for 2019. The Yorkshire Union of Golf Clubs announce the appointment of Jack Maxey (Hornsea) as their Boys Captain for 2019. 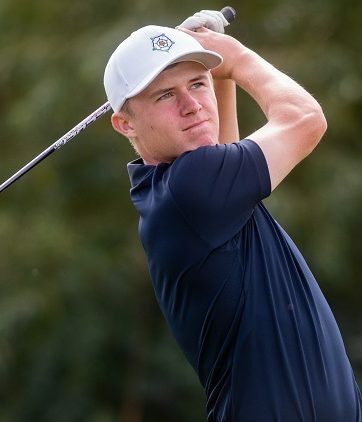 In 2018 Maxey won the South of England Boys Championship and was tied 10th in the Scottish Boys Open Championship. He also has considerable match play experience and was a member of the Yorkshire Boys team that won The English Boys County Title at Rockliffe Hall. A strong team player with an unbeaten record, when leading Yorkshire in the singles games at Rockliffe, impressed both his team mates and County officials. He was also a member of The victorious East Riding Union Team, which secured the 2018 Mens Yorkshire Inter District Union 6 man team title, having won the Junior Yorkshire IDU 6 man team event in 2017. In 2018 Maxey successfully defended both the East Riding Union boys Matchplay and Strokeplay titles which he had won in 2017. A member of the 2019 England Golf Boys regional squad Jack Maxey is a respected golfer with an impressive golf CV. We look forward to seeing Jack lead The Yorkshire Boys Team in 2019 and wish him every success.